FLEX students see average score increases of 200-250 points on the SAT and 3-4 points on the ACT. Efficient and effective, FLEX test prep ensures that you’ll achieve your maximum score with the minimum time commitment. That means you’ll have more time for schoolwork, extracurricular activities and other important aspects of your college application profile. Our highly-experienced instructors teach key academic concepts, impart time-management skills and test-taking strategies, and administer regular diagnostic tests to measure progress and evaluate readiness. To ensure you receive the right level of support, we offer courses in one-one-one, small group and class settings that span anywhere from one week to one year. FLEX Test Prep brings you a proven and continually updated curriculum. Our curriculum is combined with regular diagnostic testing, and provided through customizable courses that minimize total time commitment. Our curriculum writers routinely sit in for standardized exams, continually updating and refining strategies based on real-time information from the test-makers. Students’ diagnostic test results, along with information on students’ attendance, class participation, and performance on homework and quizzes are recorded in FLEX Gradebook and accessible online by parents. 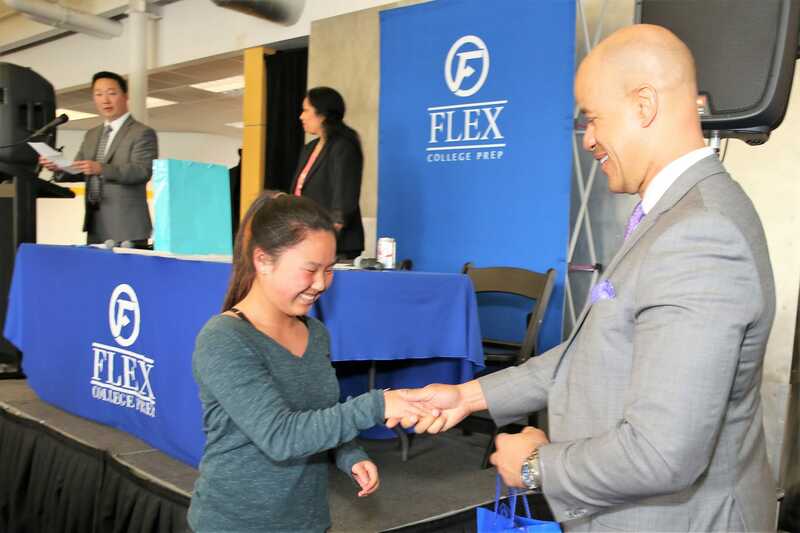 All FLEX instructors are graduates of Top-50 colleges or universities. They are the top 1% scorers in their respective subjects. They regularly take the real SAT and ACT. They are are trained in FLEX test prep curriculum and classroom management methodologies. They are background checked and abide by our comprehensive student safety policy. Equip yourself with the test prep skills necessary for success. No two tests are more important to college admissions success than the SAT and ACT. Students in our courses see average score increases of 200-250 points on the SAT and 3-4 points on the ACT. Many top colleges require or strongly recommend taking SAT Subject Tests and AP tests. FLEX offers instruction for all available AP and SAT Subject Tests. Standardized testing is a critical determinant of academic success long before most students’ junior or senior years. Increasingly, competitive middle and high schools require prospective students to earn top scores on various exams. Moreover, standardized test prep for younger students cultivates critical reading, writing and math skills that are the foundation for future academic success. It’s been eight years since I started to attend FLEX. Time flies by so fast! All I can say is THANK YOU, THANK YOU and THANK YOU! Thank you for caring for me and guiding me through high school and the whole college prep process. I can’t believe all the colleges I was admitted to. I have decided to attend Oberlin College as a music major with a full scholarship. My family and I thank you for all your support – we couldn’t have done it without you. Are your students ready to see average score increases of 200-250 points on the SAT and 3-4 points on the ACT?